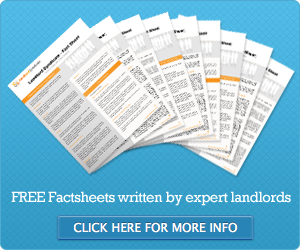 What is an Article 4 direction for an HMO? An article 4 direction is a planning power that gives a local council extra controls over property development by amending permitted development rights. Permitted development rights are the actions a homeowner can take to alter their property without having to apply for planning permission. The typical use of an article 4 direction governs the look of homes in a conservation area, where a council wants the streets to retain a specific character, so special planning rules govern how residents can change their homes – like dictating the colours of front doors, types of windows or stone used for construction. Councils are also looking to article 4 directions to restrict the number of small houses in multiple occupation opening in their area. An article 4 direction for HMOs refers to Article 4(1) of the Town and Country Planning (General Permitted Development) Order 1995, as amended. Taking on the power of the direction lets a council require a planning application from any property owner wanting to change the use of a residential property from a single family home to a house in multiple occupation (HMO) for three to five unrelated tenants. These properties are ‘small HMOs’ – larger HMOS for six or more tenants already need planning permission. Not all councils have applied for an article 4 direction to manage the number of small HMOs in their areas. Small HMOs already trading before a council imposed an effective date for planning permission do not need to make any application – but they will probably need an HMO licence from the council. A point to watch is switching planning classes – a property owner does not need planning permission to switch a small HMO to a single let, but will need to apply for planning permission if the property is changed back to a small HMO after the article 4 direction effective date. For example, the effective date for needing planning permission is April 1, 2012. Since October 2010, a property has been let to three students as a small HMO. At the end of term in July 2012, the owner decides to let to a single tenant for 12 months and then to change the home back in to a student let for three tenants from October 2013. The property will need planning permission from October 2013. Changing ownership of an established small HMO will not trigger any planning requirement.